This is the an article I have written for FashionUnited.com. I will be contributing once or twice a month on a variety of fashion related topics and look forward to sharing the pieces here with you. In Living Colour: Race in NYC’s Fashion Schools – News – Education. In the US, race is at the forefront of recent news cycles, and banners proclaiming Black Lives Matter still hang forlornly from government buildings post-protest marches. Meanwhile, fashion media outlets on both sides of the pond are touting Jourdan Dunn’s appearance on the February cover of British Vogue as a coup for racial diversity. Dunn is the first black model to occupy that coveted spot since Naomi Campbell twelve years ago. n the ninth floor of a building near Times Square, in the heart of one of the most diverse cities in the world, I stare out across a classroom of design students and more than half of them bear the label “minority.” A typical class includes 37 percent Hispanic students, 16 percent black, 2 percent Asian and 4 percent white. They are all embarking on an associate-level degree in Fashion at the Art Institute of New York City. The mission of the faculty, many of whom also work in the industry and/or teach on the bachelor’s level of the city’s other fashion schools, is to prepare the student for industry; in other words, make them hirable. The faculty, incidentally, are predominantly white. In contrast, the Fashion Institute of Technology’s student body, based on enrolment data for Fall 2012 as found on its website, cites blacks as 10 percent of the student body, Asians as 11 percent, Hispanics as 18 percent, and whites 55 percent. This second group of statistics reflects more accurately the reality of the industry I have belonged to for the past fifteen years. Season after season, the studios in which I have worked all silently agree on the same colour palette to represent them: they deal in shades of white. White people decide what is aesthetically pleasing for the masses. White people occupy the powerful roles; they are the arbiters of taste, setting the standards of beauty for everyone else. I was invited this semester to review the thesis collections of the current crop of bachelor’s students getting ready to graduate from Parsons, the powerhouse of fashion education in the United States. Of that class’s sixteen students I counted eight Asian faces, seven white faces, one Indian, zero blacks and zero Hispanics. Despite the worthy efforts of the Diversity Coalition, the runways are still over 75 percent white. If designers are not placing minority models in these visible spots in the face of ever-mounting pressure from outside the industry, why would they hire minority designers within their exclusive little design teams operating behind closed doors, when they never have before? A creative assistant who physically embodies a designer’s so-called aesthetic (a popular excuse given by those who don’t select models of colour for their runways has been that it isn’t their aesthetic) can be as image affirming to have around daily as the favourite models they hire to open their runway shows twice a year. Forty-something blocks down town from me, Anna Wintour sits in a shiny new high-rise building, the aptly named Freedom Tower. As one of the industry’s most influential forces for change, Wintour could do more than the token gesture of sticking Rihanna on Vogue’s March cover. She could strike at fashion’s heart, promoting emerging models of colour whom the designers aren’t even inviting to go-sees, launching new faces that reflect those of the fashion-craving public on the streets below her. The trickle-down effect would be many-fold but, at the very least, it would help solidify the commitment of my young students whose parents perhaps question whether a career in fashion is even a possibility for their child, who already works two jobs to help cover tuition, when there are other, more reliable careers to pursue. Wintour has said that fashion is a “reflection of our time. Fashion can tell you everything that is going on in our world.” If that’s the case, then the reflections in the glass of our respective high-rises differ greatly. In this industry everyone looks to the streets for inspiration, but to the catwalk for direction. Well, the streets are in living colour. So it is to the catwalks we must direct our continued agitation. We, the faculty of design schools across the country, strive to provide our talented and eager students from all backgrounds with the skills necessary to succeed in this already highly competitive industry, but we cannot carry out the mission alone. I recognize that it will take time for the message of the Diversity Coalition to be truly felt in every design studio, but my students are acquiring the skills as fast as I can teach them and they are ready. But are they hirable? If the industry isn’t changing rapidly enough to accommodate my students, am I ultimately doing them a disservice by pretending that racial diversity in the fashion industry is anything more than an urban myth? Tags: Anna WIntour could do more., Art Institute of New York City, black models on magazine covers, fashion education in the US, Fashion Institute of Technology, fashion professor in NYC's design schools, FashionUnited.com, fix the fashion industry's problems, global fashion news, Jourdan Dunn on Vogue cover, NYC based fashion students, Parsons, race is the fashion industry, racial diversity in fashion schools, racial diversity in Vogue, Rihanna on Vogue's cover, Silk for the Feed Dogs, succeeding in the fashion industry, the Diversity Coalition in the fashion industry, The predominantly white fashion industry, why are there so few black designers? Nice piece. Gets me thinking! How many students graduating with a certain degree actually end up working in that field? Less than you expect — Life has many twists and turns. Following your passion with Higher Education is fantastic, but other skills are being learned, as well. Basic skill, important skills: Time management, project completion, material sourcing, manufacturing plan, merchandising, networking, communication, writing, etc. You are preparing your students for a career in fashion, Yes. You hope/pray/dream that they do not have to fight against a race issue. Good is good, right? But, you are also preparing them for the reality of what Life throws at them and they will come up tap dancing because you did your job well. Because you care. Let’s see if Anna can be caught on film catching a cab in fabulous street style…I think not. You speak wise truths, D. When I think back to how I was at college…the entire experience was transformative without even considering the course I was studying. It was as if my very DNA was being modified on a daily basis! They do say the years between 19 and 22 are when you change as an adult most significantly. 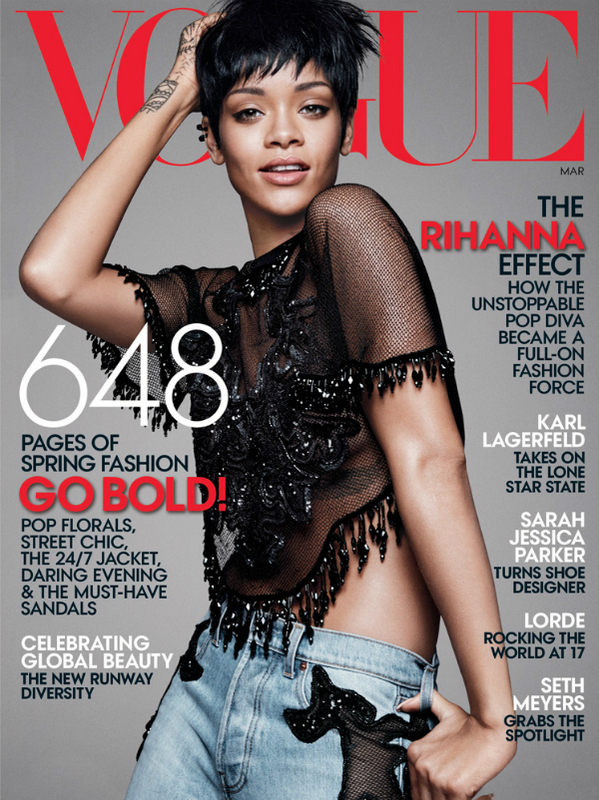 I just bought February’s UK Vogue. It’s a tad on the slim side this month for my liking considering the hefty import price but I won’t contribute to the lame old excuse editors give that when they put a black model on the cover, it doesn’t sell. Hope your weekend is shaping up nicely. An extremely thought provoking piece, as always, a gritty truth beautifully expressed. It makes my heart swell a bit to know you will be contributing to the magazine. You are a bright guiding light and a gently strong and powerful spirit. ROCK IT OUT, sweet friend. 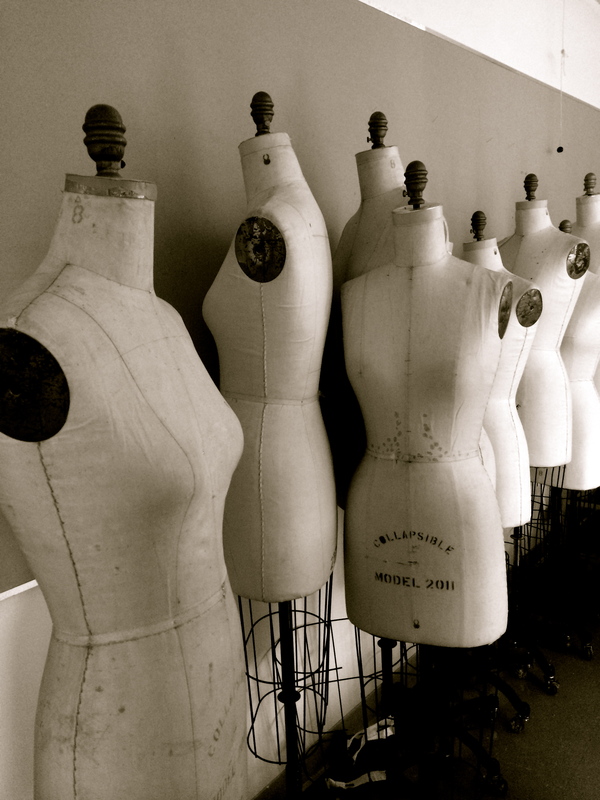 The fashion industry is a tough beast in many ways that you know intimately well. Thank you for sharing what you know, what you think, and how you feel here with us. It’s so important. Hi Allison, you sweet and generous soul. Thank you for always responding with such thoughtful appreciation. My heart swells equally at all your evolutions and how you answer the challenges you continually set for yourself. So let that be the word that describes our 2015: Swell. A brave subject for a debut article Jackie (congrats on the gig) and it also stands alone as a general comment on diversity in the 21st century. Your appraisal of tokenism by a leading industry masthead is a singularly polished paragraph of writing that strikes stylishly to the heart of your message. Honesty and humanitarianism are present throughout. A topical and important piece expressed in reasonable terms (something not always present in debate on race issues). Mike, I don’t know if it was spawned so much from bravery as from curiosity. Or a confusion along the lines of “wait a minute, something doesn’t add up here…” You are too kind with your praise and I’m not worthy of the half of it. But your thoughtful responses to my posts are always highly valued. I hope your new year has already shown promise of being a standout.